Preschoolers may suffer the most after their parents divorce. 3 Does a Divorce Have Long Term Damaging Effects on Children? More than 1.1 million children had their parents divorce in the previous year, according to a 2009 United States Census Bureau report. The end of their parents' marriage may be a difficult, stressful event for all these children. However, preschoolers and preteens tend to have the hardest time adjusting to a divorce, according to divorce researcher Judith Wallerstein. Parents of children in those age groups should take special care to support their children through a divorce and, if possible, delay divorcing until the children are older and better able to cope with the breakdown of their parents' marriage. Children between the ages of 3 and 5 have the hardest time coping with a divorce, Wallerstein explains, because of their immaturity and dependence on their parents. Preschoolers rely on their parents to feed them, play with them and protect them. They may lose the security that their divorcing parents will meet their needs, since they only see one parent at a time and both parents may be distracted by the fallout from their relationships' end. Young children have limited ability to soothe themselves. They can't call up a friend or distract themselves with school work. Preschoolers' egocentricity also causes them to think they are responsible for everything that happens around them -- including their parents' separation. Early adolescence is another particularly difficult period for children to experience a divorce Wallerstein states. Preteens are often impulsive and have poor judgment. They need their parents' support to help them understand and control the impulses they feel as they start puberty. 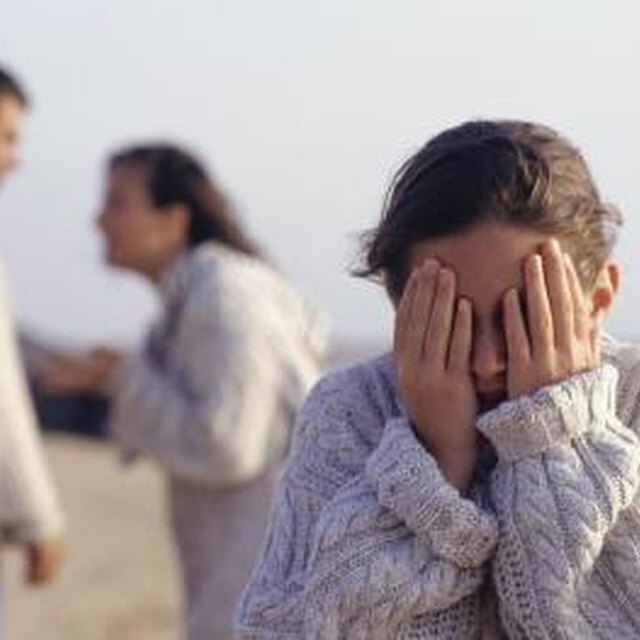 When divorce destabilizes their family and makes their parents less available, preteens may cope with the stress by engaging in dangerous behavior, such as drinking alcohol, using drugs or becoming sexually active. They risk making decisions that could negatively influence the rest of their lives. In families where there is abuse or high levels of conflict, parents may have no choice but to divorce as soon as possible -- the environment is too toxic for both the children and the parents. However, in families with low conflict, where the parents simply feel lonely, unsupported and unloved, preschoolers and preteens may benefit if their parents can put off divorcing. Wallerstein recommends waiting to divorce until preschoolers reach school age and delaying a divorce if you have a preteen who is struggling socially or academically. If divorce becomes inevitable, parents can help their preschoolers adjust by spending quality time with them. Continuing familiar activities like going to the park or reading books together helps reassure young children that they won't be forgotten. Parents of preteens should establish clear boundaries by maintaining normal routines, insisting that the families' rules be followed and keeping tabs on where their children are and who they spend time with. Doing so can help keep adolescents from drifting into risky behavior. Children in both age groups also benefit when their parents listen to their worries about the divorce, emphasize that they are not responsible for the divorce and regularly remind them of how much they are loved.